Graphic, Products, Interior, Architectural, Landscape, and Urban Design, and Music. It's the content in this 10 year Time line, starting in the left down corner in direction to the right up corner and beyond. It has almost every work related to design that have been done including the not very great and the great because all matter for the purpose and process between each other. the most significant results are in bigger images. 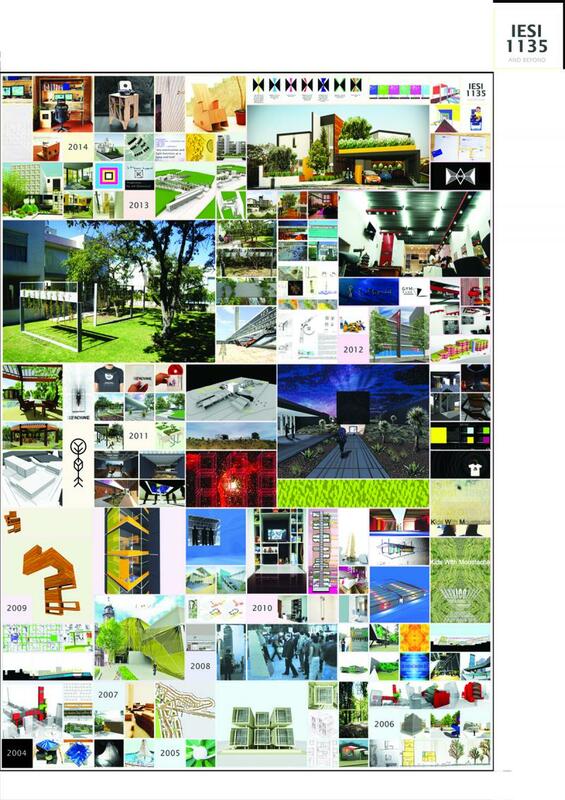 The very first work exposed is a high school entrepreneurship project, then the second is the first project made in architecture school, then almost every project is academic or personal from the year 2004 to the year 2010. 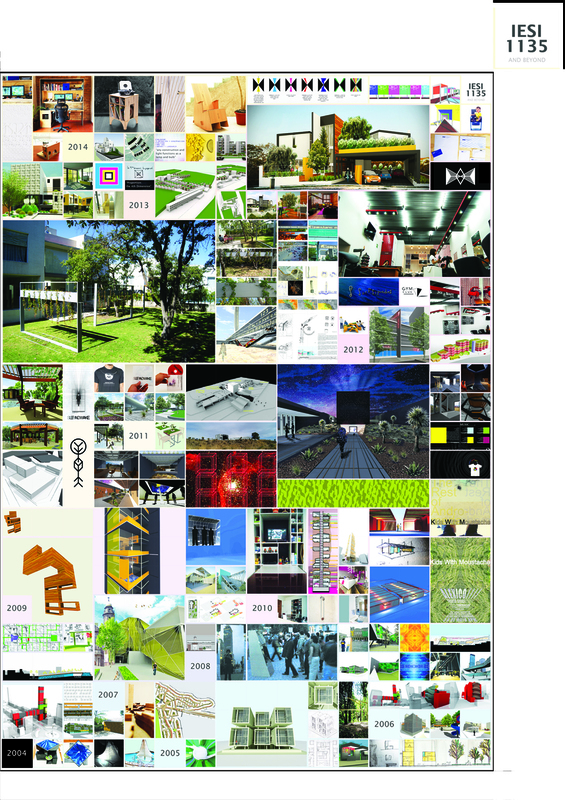 From the year 2011 to beyond most is work done only by me as an architect at the one person office I founded that year. Interesting proposals Juan Antonio. Congratulations!